A Matt's Gallery event at Dilston Grove, Southwark Park, SE16 2UA. QUILL TWO A three-day manifestation The original QUILL was made for an exhibition in the Pitt-Rivers Museum, Oxford. 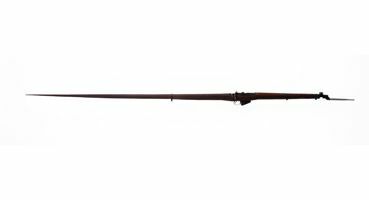 It was mounted above a long slender case containing instruments and paraphernalia for the act of writing, including a silver sheathed pen that closely resembles the metal scabbard that covers the bayonet at the end of QUILL. 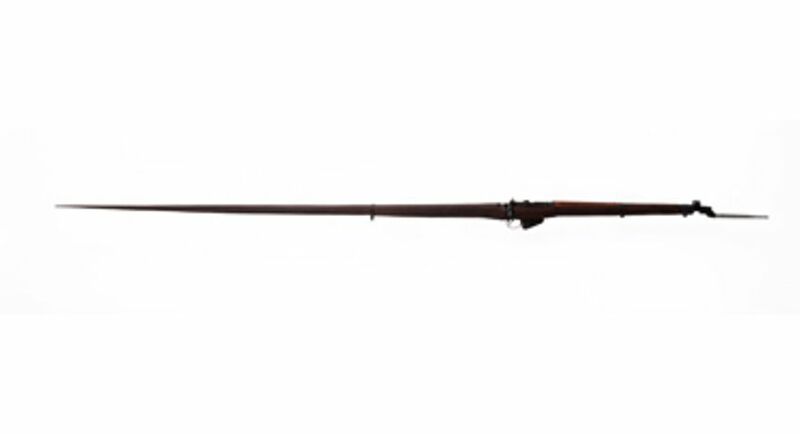 The main body of QUILL consists of a Lee Enfield 303 rifle. It has been modified into a tapering three-metre object that is impossible to use as a gun. QUILL TWO is different in almost everyway, except two.